Some of the world’s largest and most densely populated cities have air that’s so polluted that people suffer from lung diseases at rates that are significantly above global averages. Birth defects in these cities are also at extraordinarily high levels, as are heart disease and cancer rates. Many of these cities are among the fastest-growing in the world. And in some, residents burn wood and coal for warmth, releasing additional deadly pollution into the atmosphere. Sulfur dioxide: Produced when fossil fuels are burned and is the primary cause of acid rain. Exposure causes eye irritation, coughing, worsening of asthma and respiratory-tract infections. Nitrogen dioxide: Produced by generators, power plants and motor vehicles. It has been shown to cause bronchitis and other pulmonary diseases. Beijing’s air quality has become so bad that the city has recently been engulfed in a hazardous haze. As a result, schools have been forced to cancel outdoor activities, and health experts have asked that children, the elderly and people with respiratory ailments stay indoors. The city recorded the world’s highest level of sulfur dioxide concentrations for 2000 to 2005 and has the third-highest level of nitrogen dioxide behind only Sao Paulo and Mexico City. Pollution improved in 2008 because officials banned roughly half of the city’s cars when it hosted the Olympic Games. Of course, the air got worse again after the games left town. According to WHO’s most recent findings, New Delhi ranks second in concentrations in particulates, at a level more than six times higher than what WHO considers safe. According to the Harvard International Review, two in every five of the city’s 13.8 million residents suffer from respiratory illness. The report says the main cause of New Delhi’s air pollution is car exhaust and dust kicked up from overcrowded roads. As a result, construction workers and taxi drivers are most at risk for debilitating illness or even early death. According to WHO, a city’s airborne particulate matter should not exceed 50 micro-grams per cubic meter. In Santiago, an alert is issued when the level hits 200 micro-grams. In 2008, on some days the city reached 444 micro-grams. 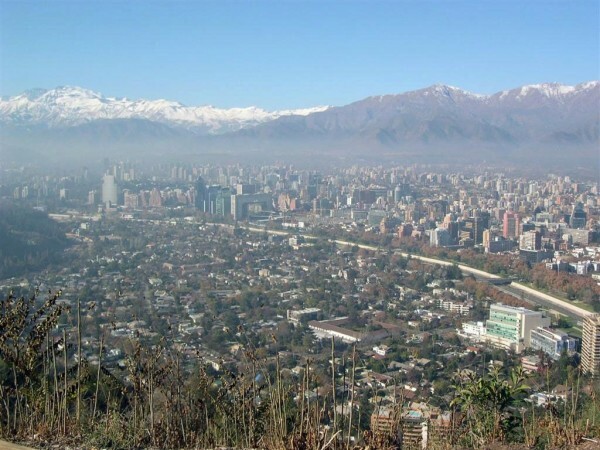 Additionally, Santiago has the second-highest level of ground-level ozone, according to WHO. According to researchers from the University of Salzburg, Mexico City has high concentrations of nearly every major harmful airborne pollutant, including sulfur dioxide, nitrogen oxides and carbon monoxide. By far the worst problem gripping the city is the massive cloud of smog that hangs over it almost every day. Mexico City has the highest level of ground-level ozone in the world, according to WHO. In Ulaanbaatar, the annual average particulate matter concentrations are 14 times higher than WHO’s recommended level. The city’s poor air quality has caused high incidences of chronic bronchitis and cardiovascular diseases. A thick smog often blankets the city, and at times daytime visibility is so poor that cars must use their headlights. The most recent WHO data ranked Cairo as having the second-highest levels of particulates in the world after New Delhi. Another WHO report, issued a few years ago, equated living in the city of 17.8 million to smoking a pack of cigarettes a day. Because Egypt doesn’t use unleaded gasoline, citizens are exposed to high levels of lead every day. On occasion, Cairo is also under what’s commonly called “the black cloud”: a dense, poisonous mass of smoke caused by the seasonal burning of rice ashes by local farmers. One of the fastest-growing cities in China, Chongqing has extremely high levels of air pollution because of coal-burning by power plants and industry. The poor air quality is sickening the city’s residents. Studies have found that 4.63% of children under 14 suffer from asthma, although prevalence in girls may be under-reported due to cultural bias. Levels of nitrogen oxide are rising because of vehicle emissions. Guangzhou, a provincial capital, has a population of roughly 12 million and one of the worst levels of particulates in China. Total suspended particles, according to a 2007 study, were worse than in Beijing. Sulfur dioxide levels, according to the most recent WHO data, were second only to Beijing. As industrial production and traffic within Guangzhou continue to increase, more people are suffering from shortness of breath, coughing, dizziness, weakness and nausea. Hong Kong features excessive levels of nitrogen dioxide, ozone, sulfur dioxide and carbon monoxide. The Air Pollution Index, which rates the likelihood of people getting ill from breathing a city’s air, has recently reached 500, the highest possible level, for multiple parts of Hong Kong. This year saw the worst levels of pollution since 1995, prompting the government to warn people against doing outdoor activities. These levels were 12 to 14 times worse than WHO standards. No wonder a recent Gallup poll has shown that 70% of Hong Kong’s population are dissatisfied with their horrible air quality.